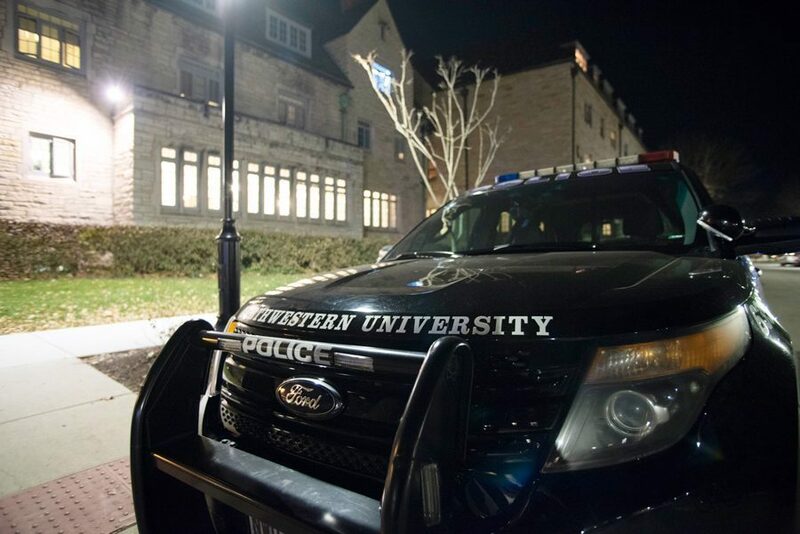 A University Police vehicle. A student, who UP arrested and charged with sexual assault, was released on bail Wednesday. A Northwestern student charged with criminal sexual assault was released Wednesday after posting the cash portion of a $50,000 bond, the Chicago Tribune reported. The student, 20-year-old Scott Thomas, was arrested by University Police Tuesday on charges of sexual assault against a female student after a party early on March 16. The female student does not remember the incident, the Tribune reported, but security footage shows Thomas holding her against a glass door. University spokesman Bob Rowley declined to comment or confirm details. The Tribune reported that a few students witnessed the alleged assault after leaving the library. One student approached Thomas and the woman, while the other students flagged down UP. He has since been expelled from the University, according to prosecutors, though his name and information remain in the University directory. Thomas was ordered by Cook County Circuit Court Judge Anjana Hansen to stay within the court’s jurisdiction and refrain from contact with the woman. He is scheduled to appear again in court April 3.